With more incidents of community mailbox vandalism, break-ins and tampering in British Columbia, Canada Post is feeling the heat. CBC News recently reported that there have been more than 4,800 recorded incidents across 130 communities involving mailbox vandalism, arson and mail theft. 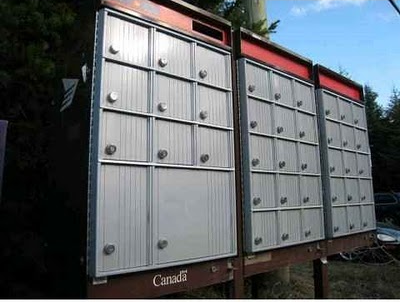 These community mailboxes, also known as “Super Boxes” have replaced personal home delivery in many communities, part of a cost cutting program, initiated by Canada Post. There are currently more than 20,000 super boxes in BC with more planned to come. With so many complaints being sent in, one has to wonder if this cost cutting program was worth the savings. In the event of lost or stolen goods, is Canada Post covering the damages? Let’s not even think about the potential losses that one could incur in the event of identity theft. Might be time to rethink this strategy. UPDATE, August 7th, 2013: Coquitlam Mayor Richard Stewart is calling on Canada Post to do a better job of securing community mailboxes.